It has been a funny old year in the UK weather-wise. The spring started out very dry, prompting water companies to announce that water restrictions would shortly be put in place. This lead a couple of gardeners that I know of to acquire fish so that they would be able to fill their ponds (an allowable use of water when the restrictions came into play). I have to admit to feeling a little smug that I already had fish in my pond. Then, just as the restrictions came into force, nature decided to play a trick on us and opened the heavens on us day after day. For a couple of weeks, the restrictions remained until it became obvious to everyone that our summer was over before it had even started officially. Day after day, we endured downpours, particularly at weekends which are obviously the prime gardening days for those of us in the workplace. As the Olympics approached, we all wondered what the rest of the world would do trying to compete in the wet and cold conditions that seemed almost certain to fill our tv screens in August. Boris Johnson (Mayor of London), proved once again that he is the master of the universe by managing to persuade the weather gods to allow some respite for the majority of the two and a bit weeks when the focus of the world was on London. By then though, the depressing weather meant that I had given up on the garden for the year and so I sat back with the rest of the country to watch the festivities on TV (and for one day in person). 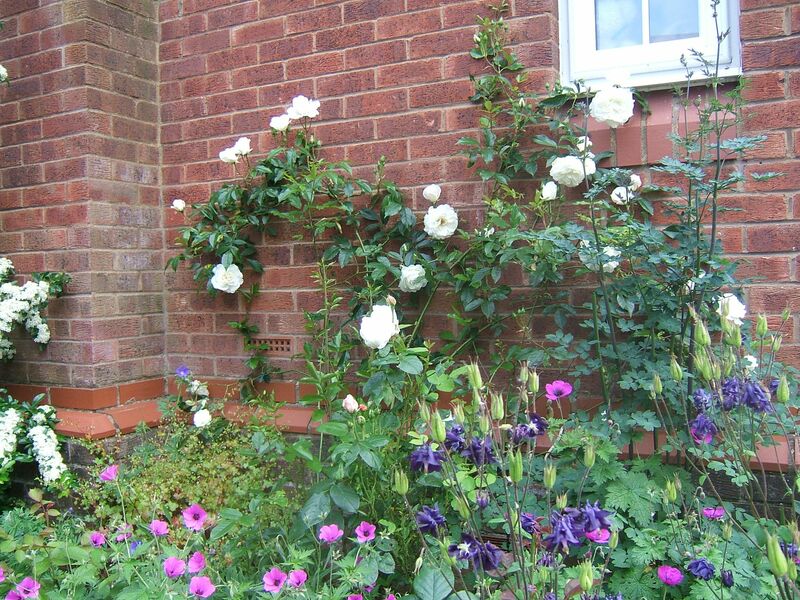 The garden was lush and full, but the lack of dead-heading meant that there was much less colour than usual. By September, things started to dry up and we got a few days of summer, but it was too late for my garden, so we concentrated on walking the dogs and doing other things. In the last few weeks though, I have started to get back my enthusiasm for the garden. A couple of dry weekends were enough to tempt me back outdoors to try and reclaim the space and start to get ready for winter. There have been too many years when I have left this job until the weather really closed in and there is nothing worse than having to pick up soggy, brown leaves and stalks. I therefore felt quite righteous as I ventured back into the garden. A jungle was there to greet me. It quickly became obvious that I had many weekends of tidying up in front of me. The first Saturday was spent cutting back one of my herbaceous borders, a job I had intended to continue for the rest of that weekend. However, a couple of slippery false steps on the York Stone path of the “Long Walk” quickly reminded me that safety was more important and so the Sunday of that first weekend was spent pressure washing my paths! Once safety had been restored, I turned my attention to the shrubs that had got completely out of control. This was not my usual type of pruning to ensure that the plants kept just to their side of the path, but rather hacking back to allow me to actually walk down the paths at all. Thank goodness for my shredder which allowed me to get even more greenery into the large green bags than I could ever have done without it. The council picks the bags up every two weeks. If I really wanted, I could make a visit to the recycling depot to empty them between collections, but there is something really satisfying about having two completely full bags and that gives me permission to stop working for the day. Clearing up at the end of the gardening year always signals the start of a new one for me. Of course, unlike the calendar year, there isn’t a precise date for the New Year. It is rather a feeling and a gradual decline. What seals the date is the arrival of the first gardening catalogue of the season. This year that seems to be earlier than ever – or maybe all the gardening suppliers have had a disastrous season as everyone has been depressed with the weather. Still now is the time to start again, plants love the warm soil and quickly put down new roots. In the weeks to come, there is lots more tidying to be done, although I usually leave the real pruning of shrubs until spring so that removing frost damage can guide the shaping of a plant. So, have a very happy New Year – here’s hoping the weather will be a little kinder to us next year – we certainly deserve that. 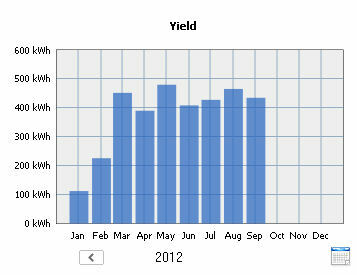 April 2012 hasn’t been great for gardening. As soon as hose pipe bans were introduced, the heavens opened. We are used to having April showers, but this was more of a deluge. This gave us time to concentrate on Anya’s socialisation. We have been visiting a number of dog friendly pubs, both in our neighbourhood and further afield. It can sometimes be hard to know which pubs are happy to accept dogs, but now there is a very useful website that tells you – Doggie Pubs. Just enter a location or drag the map to your area and choose somewhere you want to visit. 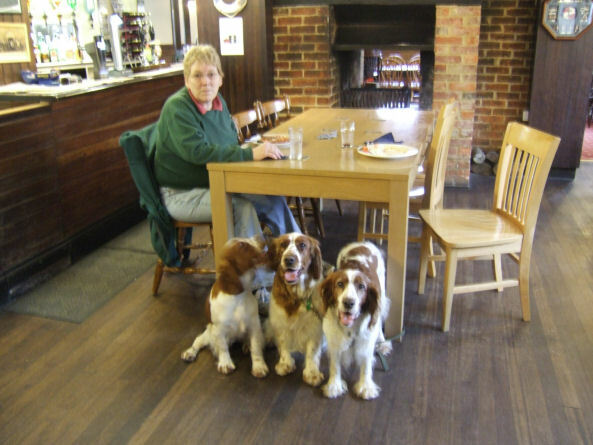 The pubs we have visited have been all been welcoming to the dogs – some more than others though it has to be said. In many of the pubs there have been loads of other dogs for Anya to meet in controlled circumstances and obviously plenty of people to greet. We have been to pubs that are a trip back in time and others that are much more modern. One has even decided to focus on the “dog” market, holding puppy training classes at the pub and organised dog walks which start with a coffee and bacon sandwich at the pub and end with a pub lunch – a very good move imo and one that other pubs really should consider in these days of declining pub attendances. We like to find pubs with tables that are heavy enough to bench the dogs to while we eat. It’s hard to eat whilst holding onto a lead :). Hopefully the weather will improve in May and more time can be spent in the garden. We only have four weeks before the first of our garden openings – time is going to fly by!